Back to blogging. So another quite long break from posting here. As usual, I have been busy with work and school. Nonetheless this was not the main reason for my absence here. 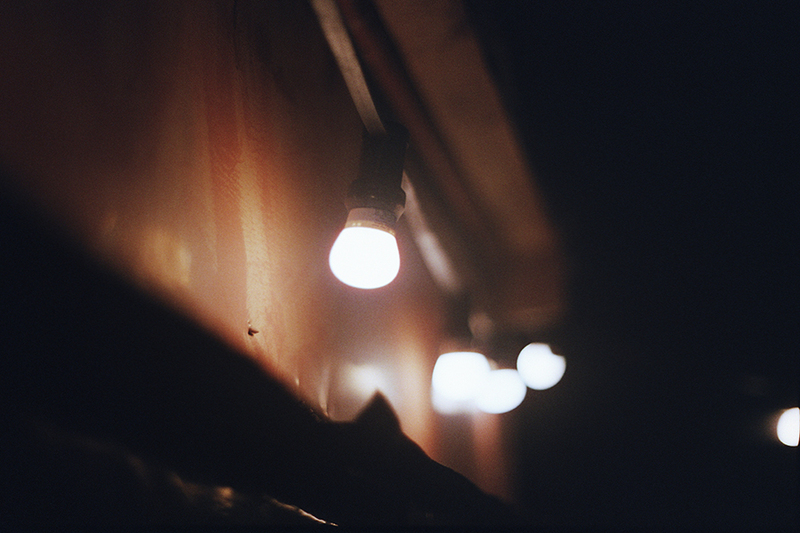 The more I looked at my scans the more I realized that they do not do justice to the quality of the film and lenses. Even though Epson V750 Pro is a decent scanner, I realized that I'm not getting as good quality scans from it as I wanted. Even though I have some special film holders to get film as flat as possible, my scans still lacked critical resolution and sharpness that was on the film itself. It was very much evident from the proof scans my film developer provides. So far I have occasionally used those here, as they are ok for web viewing. On the last year though the film shop scan quality has dropped immensely. Their scanner is probably failing but they do not want to invest much into repairing it. So the proof scans usually have a lot of horrible banding lately and are not very good. So all things considered, I decided to take a break from posting until I find a better option to scan my films. Scanning film is quite a laborious task and I would like to do it once and with maximum quality. And now I can with the help of new Reflecta RPS 10M auto focus scanner. I will do a write up on it when I get to work more with it, but so far it looks to be an excellent film scanner and some of the results have been pretty amazing. Auto Focus makes all the difference. Not posting here obviously does not mean that I have not been taking pictures. Even though I have been out there with my camera a lot less than I would have liked, I still have shot plenty of rolls of film. I have meanwhile also acquired two new lenses. Before this autumn I did not buy a new lens for quite some time, but there's always been couple in my wishlist. So when I got paid handsomely for some extra work, I decided to get a new lens or two I have been drooling over. One of them was the Zuiko 85 F2.0 portrait lens. I have always wanted that lens badly, but have postponed getting it because of its price. But this time I decided to go for it and after some rigorous eBay surfing I managed to get a very good copy with a reasonable price. The second lens was the Zuiko 135 F2.8. I had my doubts about it as I already have two lenses in this focal length but when I saw a mint copy with a rather cheap price, I instabought it. Both of the lenses were in mint condition and had a serial that indicates one of the latest production runs. Even though I have not had time to shoot much with them yet the first test runs have been very impressive, I'd even say quite amazing.